If you want to update your phone to the latest Jelly Bean goodness read on… be warned, by doing so, you risk bricking you device, voiding your warranty etc etc. NOTE: Perform an MD5 check on both files. You should still perform the following backup step. Boot into recovery mode (Hold down the Volume Up, Power and Home buttons until the Recovery screen appears). Once your phone has rebooted, turn usb storage on and copy the backups to your pc. Switch your phone off and boot into recovery again. Now wait for your new system to boot and enjoy! This entry was posted in Tutorials and tagged android, Cyanogen, CyanogenMod, jelly bean, Samsung Galaxy s2 by subsymbolic. Bookmark the permalink. UPDATE: The installation went well and I booted straight into a working system. I only deleted the caches (not the whole device) so all my apps and data are still there. 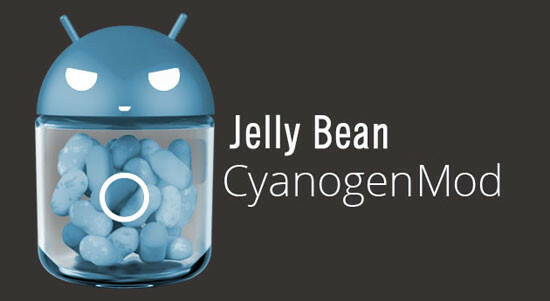 All that’s left to do now is sit back, enjoy Jelly Bean and dream of Cyanogen releasing Android 4.2.